Route map of JR’s Yamanote line which forms a circle around much of central Tokyo. The larger or more important stations are in bold. 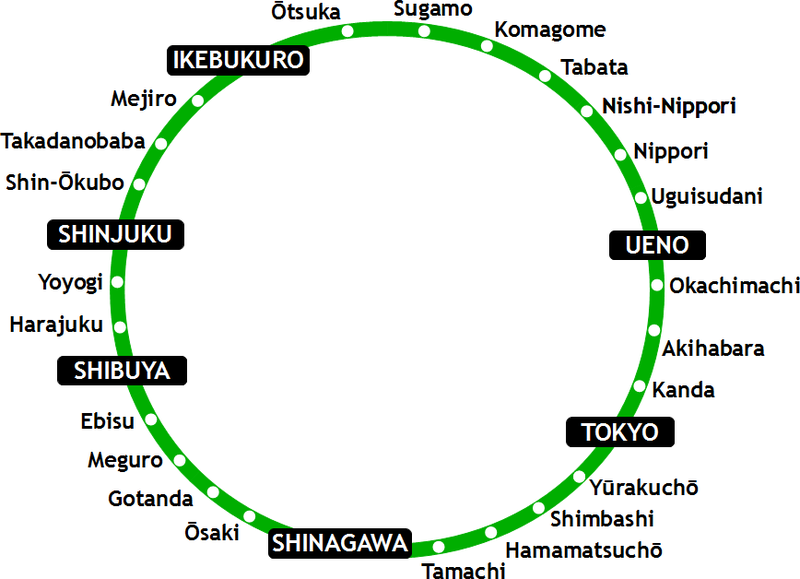 Some other Yamanote line facts for those hungry for useless information: A complete circle is 35km and takes about 60 minutes while visiting 29 stations. What really shows the scale of things in Tokyo is that 3.7 million people use this line every day compared with the 5 million who use all of New York’s subway lines (and its 468 stations) or with London and the 2.7 million who travel on the Underground’s 12 lines which serve 275 stations. Now we’re entering the west side of the Yamanote line. Minato is foreigners’ land. If you need your embassy then it’ll probably be here. And if you need a skyscraper then it may be in this city center too. Tokyo Tower is around here somewhere too. It was designed to look like the Eiffel Tower and painted in red and white aircraft safety colours. 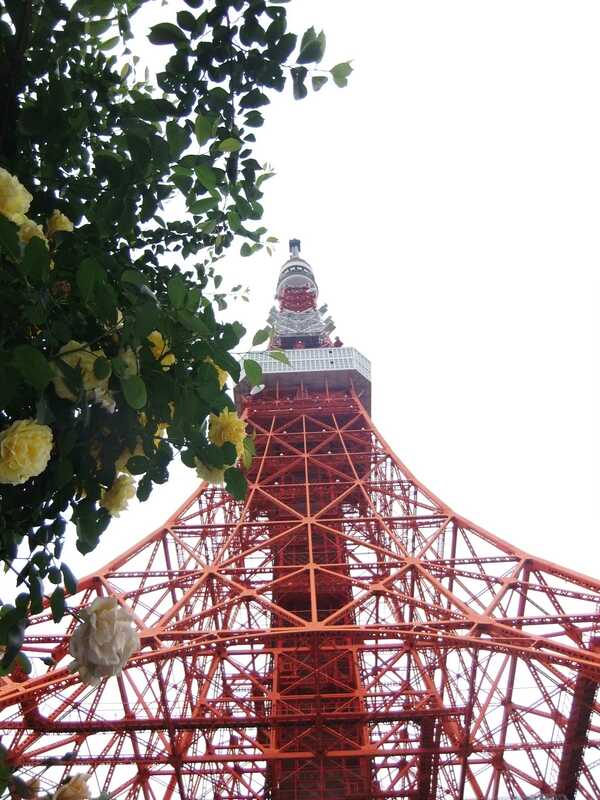 Tokyo Tower was supposed to host the TV transmitters for the 40 million people who live in and around Tokyo but the ever-growing skyline means that Sky Tree has recently been built in Sumida to take over this role. And then there’s Roppongi where all the foreigners either live or head to at the weekend. It has Tokyo’s best-known night entertainment places and apparently the best. Be prepared to spend up to 1000 yen (GBP £8, €10, US$12) for a glass of beer though! This has to be the coolest ward or at least second to Shinjuku in terms of the number of neon lights and shops. Firstly there’s Shibuya itself which is home to Shibuya Crossing where you can join in the crowds and be one of 100,000 who cross a single road every hour in front of the train station. Or if you’re feeling a bit claustrophobic then head to Starbucks where you can drink a coffee and watch the crowds below instead! Even Starbucks is crowded so those in need of relaxation might want to go to Yoyogi park (see the Shinjuku section in the next posting). The stranger person among you may want to do a bit of shopping at Shibuya 109 which is world famous for creating the “kogal” subculture (school girl uniform style). If busy streets, school girl fashion and relaxing in the park don’t do it for you then why not a bit of culture at the National Noh Theatre, Noh being one of Japan’s traditional theaters and makes for a confusing conversation when you ask the staff questions like “Is this the Noh theatre” and they reply with the obvious answer “no(h)”. 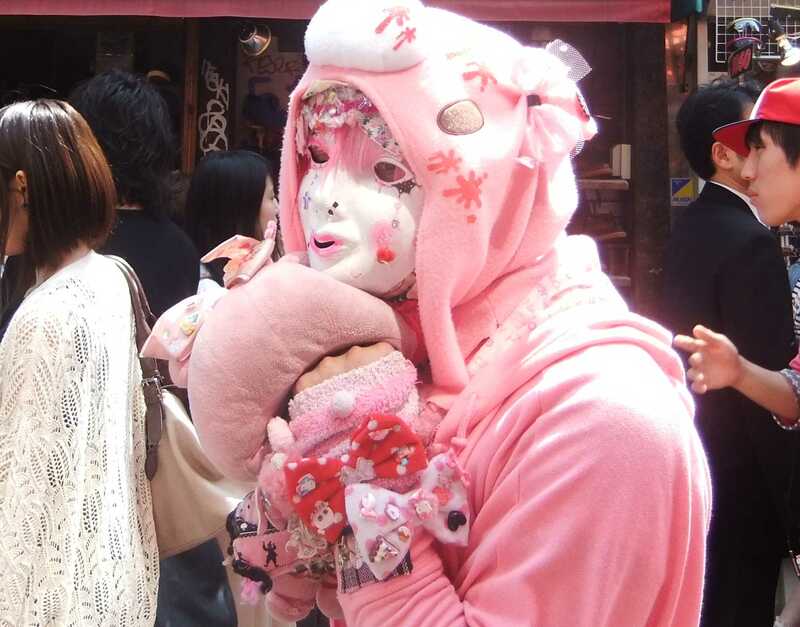 Harajuku is also in Shibuya and famous too for the fashion named after the area. Head here on Sundays to see the Harajuku girls walking the streets in clothes and hair that must have taken hours to prepare. This is “the” place to see Cosplayers in Tokyo and probably the most famous Cosplay area in the world. Two highly contrasting streets can be found in this part of Shibuya – Takeshita Street being the main street of Harajuku and crammed with cosplay teens seeking to spend all their money – and nearby Omotesandō which is trying to be western Tokyo’s answer to Ginza with dozens of high-end fashion stores. Take your pick. Katsushika where I live. 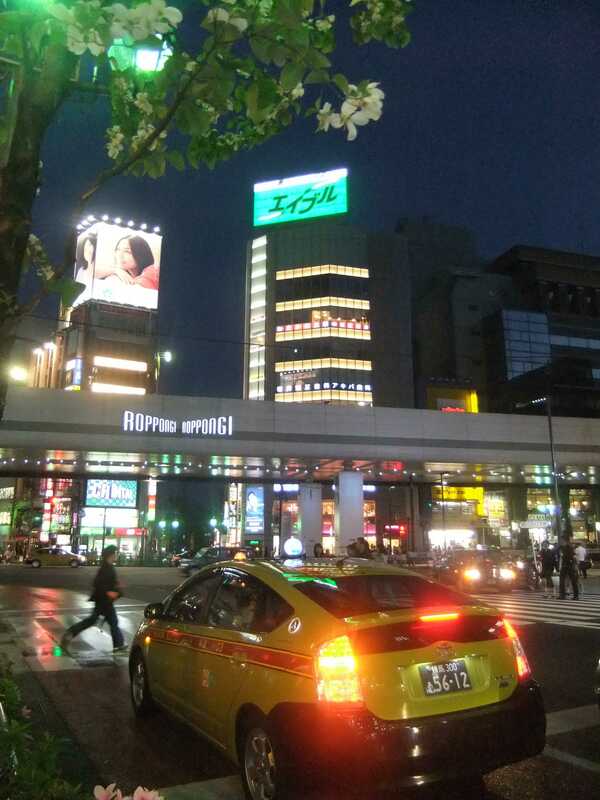 This Tokyo city has a mayor, municipal buildings and a scattering of sights like Buddhist and Shinto shrines to visit but it’s the cities which surround JR’s (Japan Rail) Yamanote line which are where things really happen. 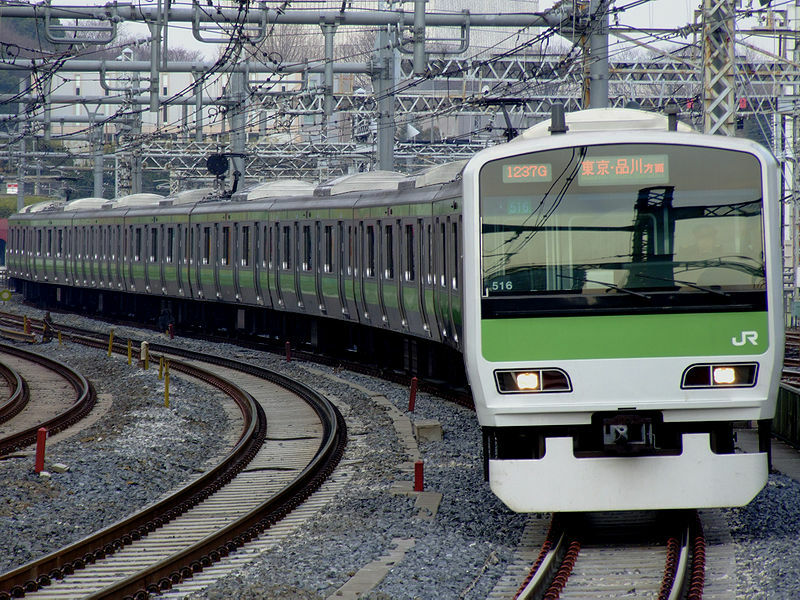 The Yamanote line forms a circle in Tokyo encompassing many of the cities and a lap of the circle will take you just over an hour. Let’s take a look at some of them. 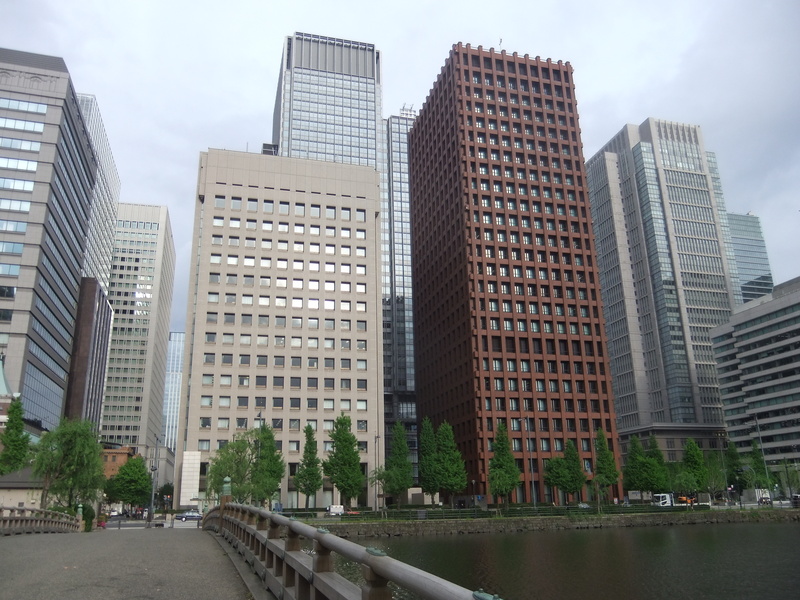 The ward of Chiyoda is home to Tokyo station which is a surprise really as you don’t expect mega cities to have a single train station with such a name (there’s no London station or Paris station). It is, like so many stations in Tokyo, enormous and can be confusing to find your way around. It has connections to all over the country and all parts of Tokyo especially the eastern wards though it isn’t the busiest station in the city. Nearby is the Imperial Palace whose land occupying the center of the richest city on the planet is apparently worth more than all the real estate in California. Unfortunately the Emperor is a private kind of guy so much of the palace grounds are off limits to the general public. You can, however, visit some of the gardens nearby which are beautiful and relaxing on a warm day with lawns, shaded wood areas and little lakes with turtles, koi and enough flowers to satisfy all of Tokyo on St. Valentines Day! Entry is free but strangely you have to queue for a ticket which you later have to hand back on your wait out. Then there’s Yasukini shrine which is infamous for enshrining some of the war criminals from World War II although the shrine is dedicated to remembering those who fought for the emperor.